Use the various link posted on this page to access the official Value Village job application online. Numerous types of careers can be searched/applied for via the company’s online careers site. Learn more about the online application/hiring processes by following the steps in the guide posted below. The company’s careers web-page allows you to search for current job openings, learn more about the types of positions that are available, as well as apply for numerous careers. About the Company: Value Village is the brand that Savers operates under in the Pacific Northwest (United States). The company was founded in 1954 and is based out of Bellevue, Washington. 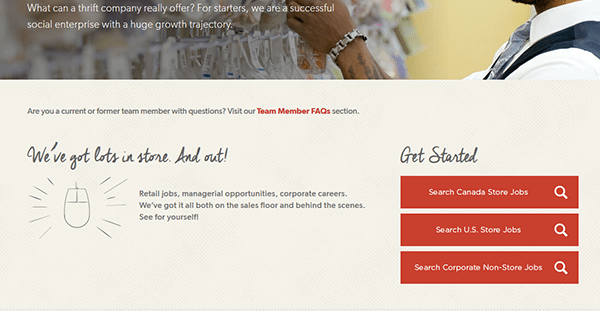 Step 1 – Go to the company’s main career opportunities page. Copy/paste the following link into a new tab/window within your current web browser and open the page. Step 2 – Once you’re on the main employment page click the “Search” button that corresponds to the type of job you’re interested in looking for (e.g. U.S., Canada, or corporate). 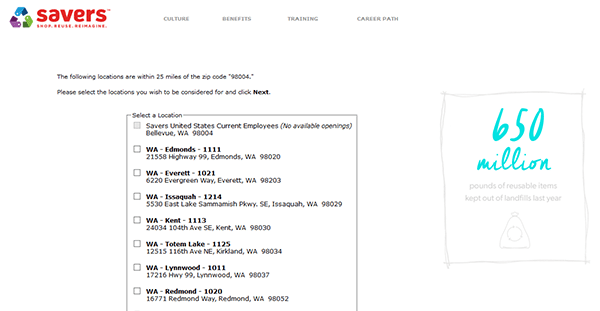 Note: This guide details how to search for job openings in the U.S. Step 3 – Enter a zip code into the input field, select a distance from the drop-down list and then press the “Go” button to view the results of your search. Step 4 – Select the location(s) that you want to submit an application to. Click the “Next” link near the bottom of the page to go to the next part of the process. 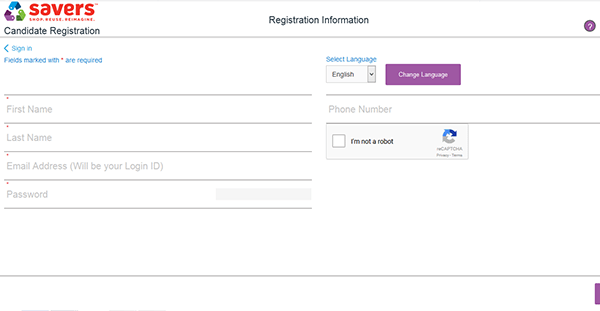 Step 5 – Select the position(s) that you’re interested in applying for and then click the “Proceed to Registration” link to move to the next section. Step 7 – Click the “Next” button to go to the next section. Continue to fill in the required information for each step of the form.